Visit other B/W blog post for today! Sweet dreams of treats and toys! You are so cute. I hope you had sweet dreams! Your hair is great! How did it work counting sheep? In Germany, the sheep were on the dike across the street from our house and used to keep us awake with their Baahhaaaaing all night! Pierson says, "Mmmm, sheep." Counting sheep can bring some really sweet "running" dreams. Awwwwe…sweet dreams! You are such a cutie Carma! Great shot! I feel the same way when I have to get out of bed! 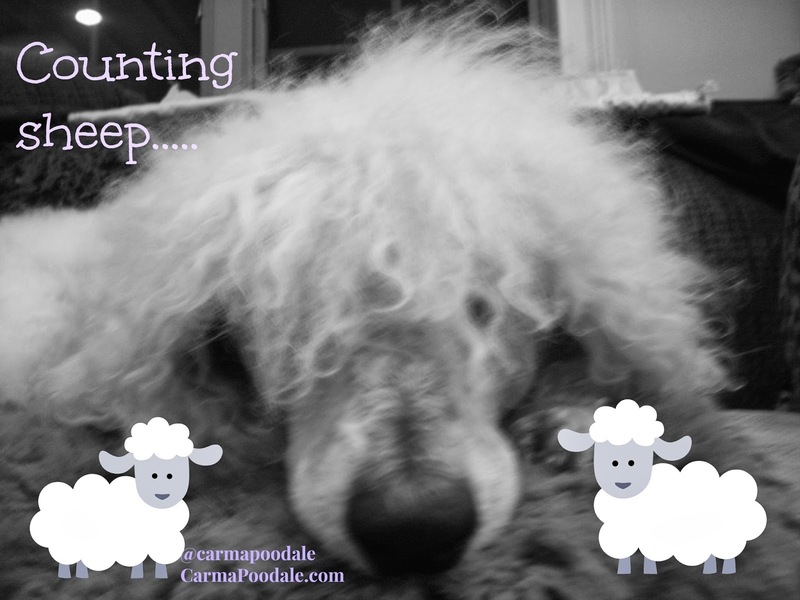 Hope you didn't have to count too many before getting some shut eye Carma! aw so cute! sweet dreams carma!